Time divides the past, the present and the future. But perception and performance perpetuate continuity. 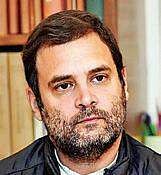 Rahul Gandhi (47): He has little left to lose. His 135 year-old party once ruled 90 per cent of India’s geographical area with over two-thirds majority in many states and the Centre. Now, the Congress is on the verge of acquiring the tag of ‘endangered political species’. Rahul did remarkably well in Gujarat. Luckily for him, an opportunity for revival is within his grasp, to lose less and gain more. Even though a likely defeat stares at him in Karnataka, he can bruise BJP chief Amit Shah’s gargantuan ego by snatching at least one if not more of the BJP-ruled states of Madhya Pradesh, Rajasthan and Chattisgarh. 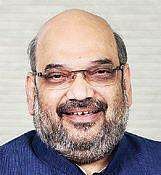 Amit Shah (53): For the indomitable BJP chief, 2018 will be the year of further consolidation and expansion by achieving his mission of Congress-mukt Bharat through unseating the GOP in the poll-bound states where it is in power. The BJP and its allies control more states than the Congress ever did in the past five decades. If he continues his winning spree, Shah is poised to become a Badshah. But a slip would encourage his detractors to give him the label of a Bad-Shah. 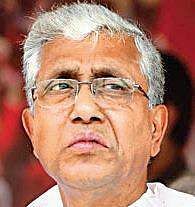 Manik Sarkar (69): Perhaps India’s poorest Chief Minister faces two formidable challenges: win Manipur for a fifth consecutive time and stop Amit Shah’s advancing phalanxes from seizing the only red citadel left in the East. The CPI(M) Politburo Member is credited with bagging 50 out of 60 Assembly seats in 2013. With the TMC challenge fading, the BJP has been making inroads into the Communist base. For the first time, Hindutva is a factor in Tripura politics; the Left is praising Hindu gods and heritage. Win or lose in tiny Tripura hardly matters in national politics but the symbolism will be louder than the slogans. A fifth mandate in 2018 will make Sarkar both the third longest surviving CM after Sikkim’s Pawan Chamling and Mizoram’s Lal Thanhawla, and the comrade who saved the CPM from vanishing in Eastern India. 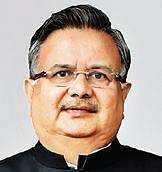 Raman Singh (64): He is the first BJP chief minister to rule uninterrupted for over 5,000 days and is among the top eight longest-serving CMs. Under the Chhattisgarh supremo, the party won three consecutive Assembly elections. Singh’s low profile functioning and affable attitude has united internal factions. In spite of Maoist violence, his government has improved the social and economic parameters of Chhattisgarh through a turnaround PDS scheme, winning laurels from national and international agencies. If he wins, he will become the first BJP and third non-BJP leader to get a fourth consecutive term. 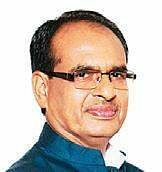 Shivraj Singh Chouhan (58): The 18th Chief Minister of Madhya Pradesh proved his mettle in 2003 when he led the BJP to a massive victory, bagging 165 seats out of 230. He followed up in 2008 and 2013 with similar triumphs. In 2014, the BJP won 28 of the 30 Parliament seats. Chauhan was perceived as a potential Prime Ministerial candidate in the BJP before Modi. 2018 will decide not only the fate of his chair but also his future role in saffron politics. He is the only Chief Minister who is a member of the all-powerful BJP Parliamentary Board. His challenges would be to stare down a 15-year anti-incumbency and counter the slew of corruption charges plaguing the government. 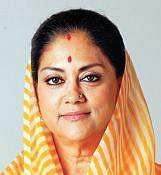 Vasundhara Raje Scindia (64): The 13th and first woman Chief Minister of Rajasthan faces one of her toughest crises in public life. She has to break the incumbency jinx and improve her record of winning 162 of the 209 Assembly seats in 2013. Her government has been mired in unsavoury controversies. She has failed to settle caste conflicts and carry the organisation along. Though rumours about her pre-poll replacement are in the air, her future in the BJP appears to be uncertain even if she is allowed to lead in 2018. 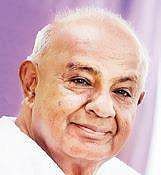 H D Deve Gowda (84): whose fate as a political leader will be decided forever in 2018 is on the cusp of complete oblivion in Karnataka. The short term Accidental Prime Minister is fighting the election as a caste leader. Last time his tattered regional party with the national name, Janata Dal (Secular) won just 41 MLA seats. His dynastic dreams are to ensure his son becomes the CM again. His own community of wealthy Vokkaligas is abandoning him. He is unable to attract new followers. Moreover, father and son have no credible vote-catching political agenda. Defeat in 2018 would mean the end of one of the family-controlled political outfits in the South. 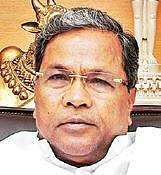 Siddaramaiah (69): The Karnataka Chief Minister is on a month-long yatra to connect with his voters and supporters. In 2018, he has assumed the responsibility of keeping the Congress tricolour flying in Karnataka, which is the only southern state left under Congress control. Apart from Punjab, it is only here that the local leadership is more powerfully acceptable than the High Command. In 2013, Siddaramaiah became the CM after the Congress won 122 seats. But party leaders have been deserting in large numbers. For four years he wooed Muslims with concessions galore. Of late, he has adopted soft Hindutava by proudly declaring himself a Hindu with ‘Ram’ in his name. A second term for Siddaramaiah would signal the rise of regional satraps in Congress party once again. 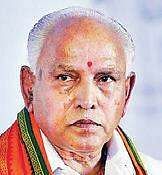 B S Yeddyurappa (74): is waiting for Lady Luck to smile on him in 2018. Yeddy’s initial victory was Amit Shah declaring him the chief ministerial candidate, because he has touched the upper age limit to hold a post in the party or the government. Despite his tainted and controversial image, Yeddy has been chosen over younger leaders because of his control over the wealthy and resourceful Lingayat community. Moreover, the former chief minister is adept at winning friends and destroying foes. 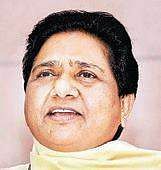 Mayawati (61): The four-time chief minister of Uttar Pradesh is not in the race directly in any of the poll-bound states, though the BSP has been fielding candidates either to retain its Dalit vote bank or to help ensure another party wins or loses. Maya’s critics hold her partially responsible for the BJP’s victory in Gujarat since she had put up candidates in areas where the Congress could have won. In 2018, she will field candidates in all the states except, maybe, in Tripura. Once touted as a potential Prime Minister, Mayawati will test the political waters in 2018 for the war ahead in 2019. Her performance will also determine the longevity of caste politics.Reading the tea leaves of 2018 is like predicting a storm in a tea cup. The past is reaching to touch the future by casting the political horoscope of present leaders.